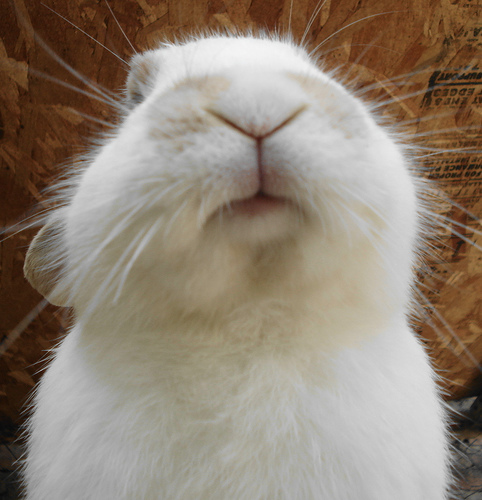 If you are staying with family or friends on your trip, make sure in advance that no one is allergic to rabbits. If your rabbit is not used to car rides, and you are going to go on a long trip, you should train for it in advance. You should do small trips to start out with, and then gradually go on trips that take more time. If it’s hot out, don’t leave your rabbit in the car for extended periods of time. In terms of choosing a cage to take your rabbit, the best cage to take is your rabbit’s one at home or another small rabbit cage. It will like to be comfortable, like being in its usual surroundings. If you want to get a new cage for the trip, you should get your rabbit used to it first, such as having it stay in the cage for short periods each day. You should pack with you: water bottles, food, water, hay, garbage bags, vinegar for cleaning, newspapers, paper towels, whiskbroom and dustpan, Laxatone or Petromalt (for hairballs), enzyme powder (for their stomachs), Pedialyte (to prevent dehydration), ice packs, towels and medical supplies (like eye droppers, if necessary). You should also have handy a health certificate and veterinary records in case any emergency situation should arise and you need to board your rabbit. You should also write your phone number or the phone number of a friend with a non toxic marker on your rabbit’s ear in case it escapes. When you are in the car, be aware that rabbits do not have good tolerance for heat. If you don’t have air conditioning, you could put cold, wet towels on its cage. 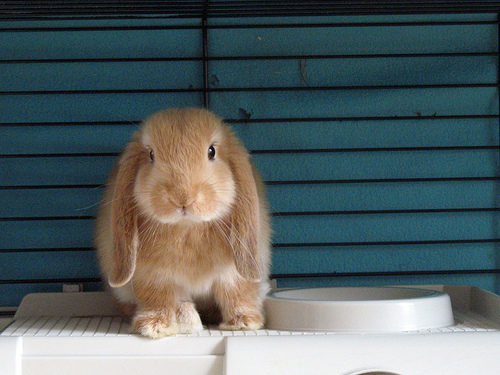 Rabbits do not like drafts, so don’t put them where the heat or air conditioning will be blowing on them. It is better to feed them during breaks rather than while you are driving, and try to stick to a routine if you are driving for a few days. Make sure carriers are securely strapped down so they can’t slide around. Keep an eye on their water bottles to make sure they aren’t dripping out. If you are going to stay in a hotel, make sure they are pet-friendly first. You should keep your rabbit in its cage, and only take it out for exercise in the bathroom. You should also hang a “Do Not Disturb” sign on your door so that no one startles your rabbit. Don’t leave the rabbit alone for long periods of time, as it might get nervous. Click here for some additional advice.